﻿ Johal Boliyan on Zane Lowes radio show! You are here: Home / News / Johal Boliyan on Zane Lowes radio show! 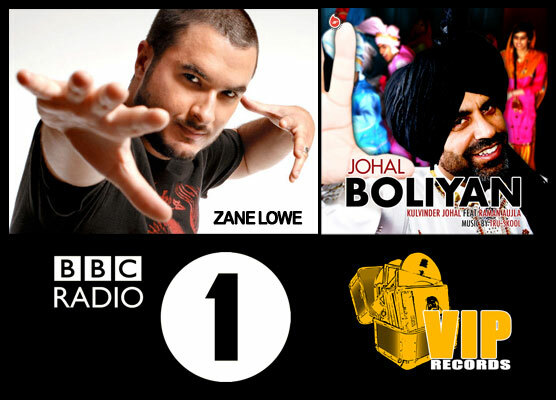 After making a huge impact on the Bhangra scene in 2011, Kulvinder Singh Johal debut single featuring Raman Aujla, “Johal Boliyan” was featured and supported by the world famous BBC Radio 1 Dj – Zane Lowe on his hit music radio show on Thursday 1st September. After dominating the number 1 position in the charts for six weeks, his debut single has gained worldwide recognition in the Asian music scene and in the mainstream media. ‘This is a fantastic achievement by VIP records and Kulvinder Singh Johal, as a record label we will carry on pushing boundries and Asian music into the mainstream. The aim of VIP records is to promote Asian music and artists like no other record label’ – DJ VIPs, VIP Records. The single, a pure Panjabi folk duet has been produced by TruSkool and features his charismatic hip-hop stamp finely blended with authentic folk sounds, deriving from the influences of Kulvinder Singh Johal. Zane Lowe supported this single after it was surrounded by much hype and attention reaching the number one spot for six successive weeks. You can listen back to the show until Thursday 8th Sept (9pm) by clicking here – The Johal Boliyan feature begins at around 1 hour 40 minutes!